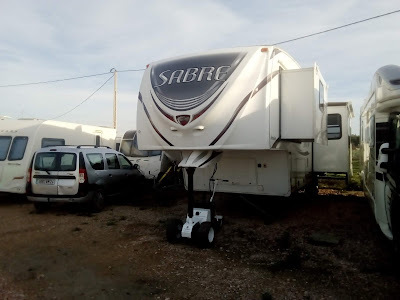 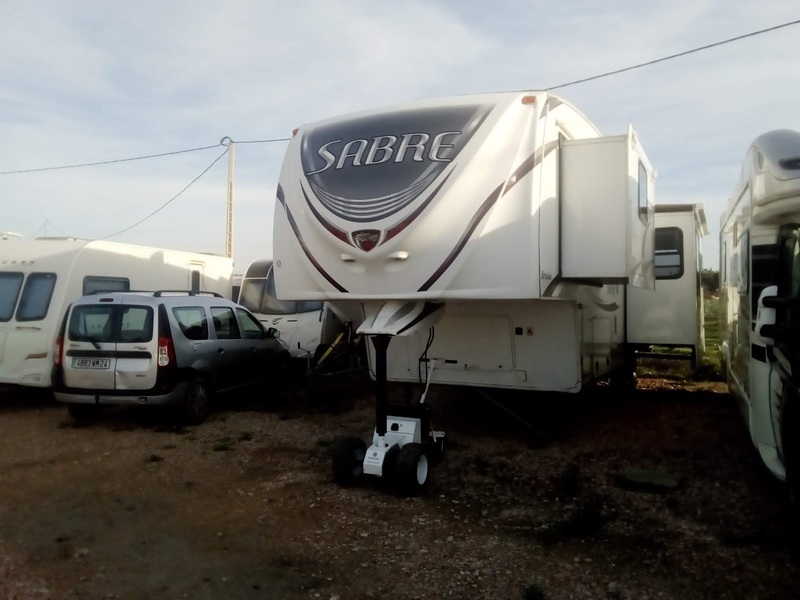 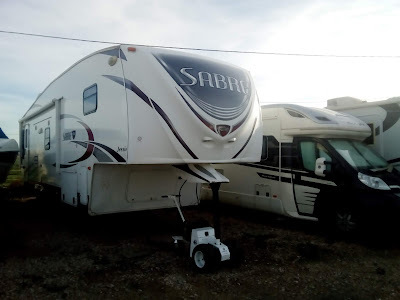 We are please to offer this 32' 2011 Sabre by Palomino 5th wheel for sale. 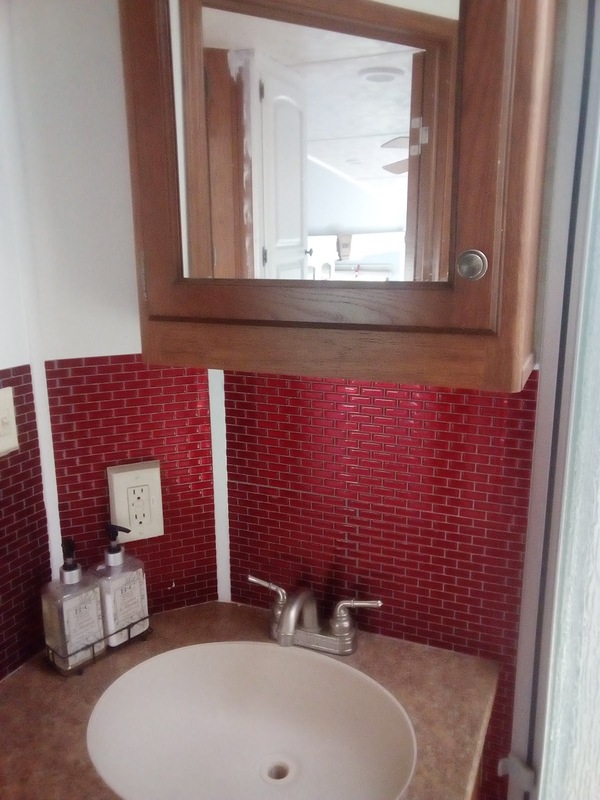 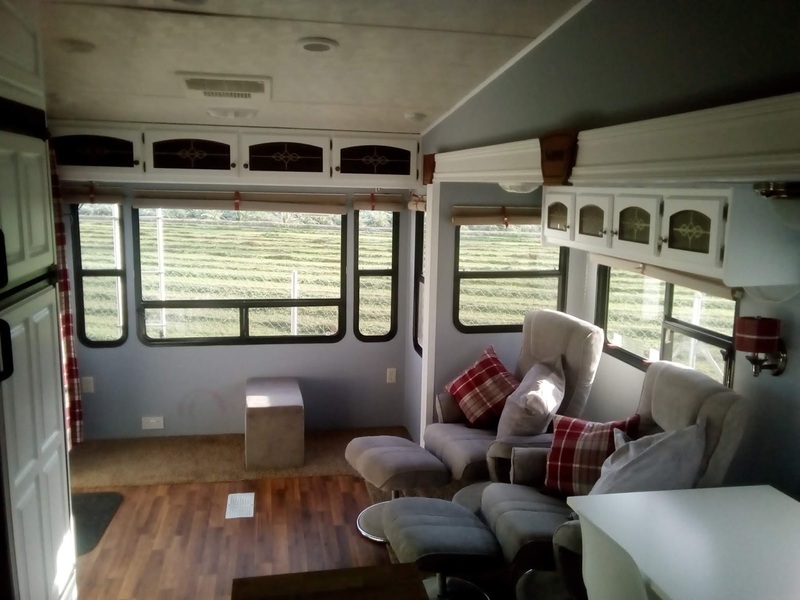 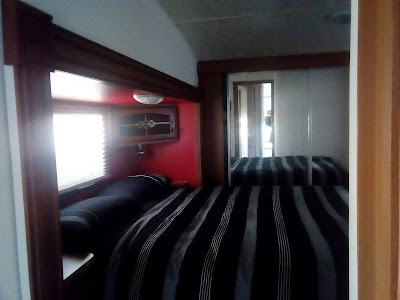 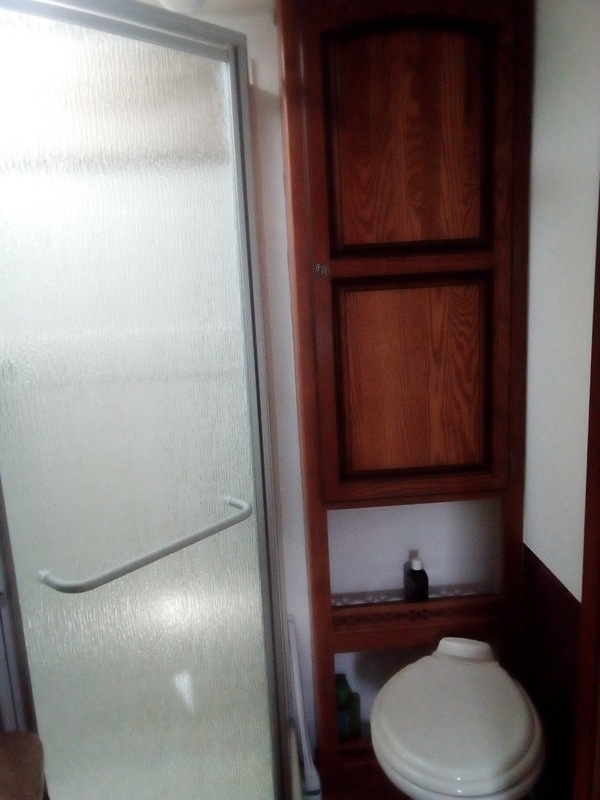 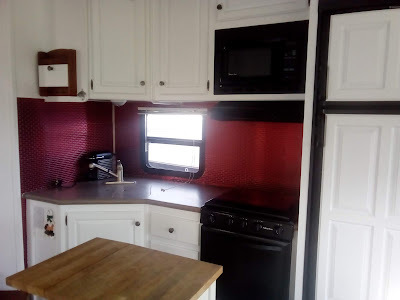 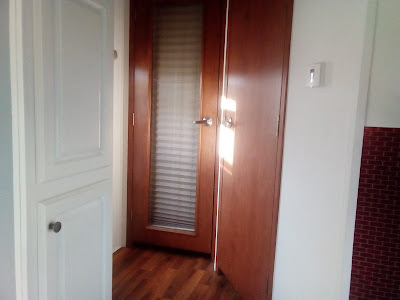 Double slide, bright modern interior with all the usual refinements found in American trailer. This model is an end lounge, mid kitchen with separate bathroom and bedroom with Queen size walk round bed. 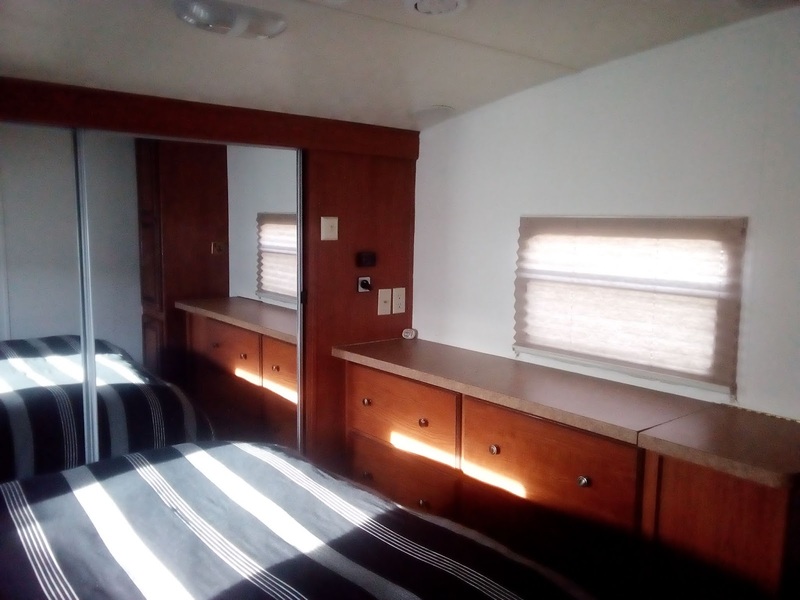 Being a 5th wheel it has tons of storage space both in the under lockers and inside the trailer itself. 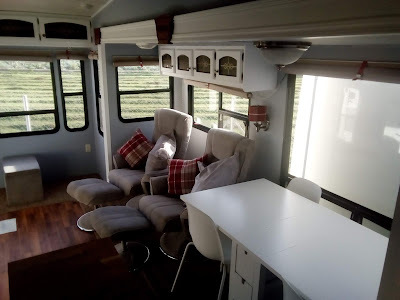 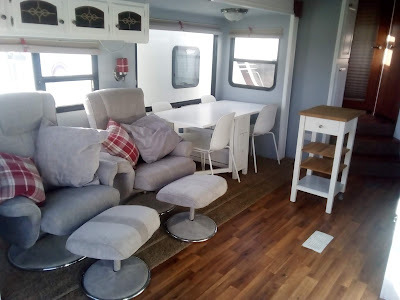 Usual features, large fridge freezer, gas oven, microwave, dining table and chairs, two comfy armchairs with matching footstools. air conditioning, underfloor blown air heating, outside awning blind plus lots more.